From my perspective, Alabama is the crown jewel in the southeastern portion of the United States. With its camellias and azaleas in the spring, its juicy peaches and spiky okra in the summer, its long rows of cotton and stately, heavy-laden pecan trees in the fall, Alabama bursts with color and flavor throughout the year. Geographically, it is blessed with powdered sugar beaches along the Gulf of Mexico as well as foothills leading to the Smoky Mountains in the north. 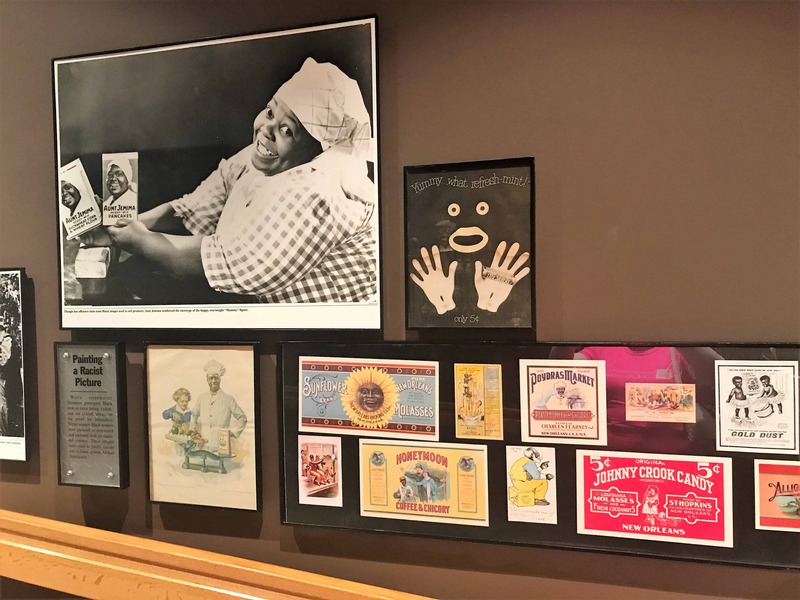 The sounds of “Yes, Ma’am,” “Bless your heart,” and “Y’all come back now” soothe spirits and hint of that famous hospitality taught from generation to generation. Alabama is even the second most religious state in the country, right behind Mississippi. Churches are prominent in even the smallest towns, mostly Protestant with a few Catholic ones scattered here and there. Alabama is the state of my birth, my home for over sixty years, and I share that fact with pride. 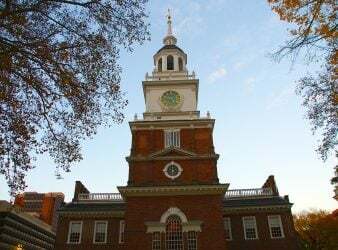 But, even I have to confess there were periods in my state’s history that embarrass and sicken me. When I’m confronted with the realities of life in Alabama during the years leading up to the Civil War and again during the 1950’s and 60’s, I am profoundly sad and full of regrets that I didn’t see more, didn’t understand more and didn’t do more to make life better for my fellow Alabamians. In particular those Alabamians whose skin color was different from mine. In 1673, Samuel von Pufendorf wrote, “More inhumanity has been done by man himself than any other of nature’s causes.” A century later, Robert Burns wrote, “Man’s inhumanity to man makes countless thousands mourn!” Those are the very words that echoed in my brain recently as I toured the sites in Birmingham that are a part of the U.S. Civil Rights Trail. On May 17, 1954, coincidentally my fourth birthday, the U.S. Supreme Court ruled in Brown vs. Board of Education that racial segregation in public schools was unconstitutional. Unfortunately, the Court did not spell out what steps should be taken to desegregate the schools. Black people won their case but had to spend the next twenty years helping the world figure out how to fix the problem. Birmingham is Alabama’s largest city. It was and still is vitally important both industrially and commercially. But in the 1950’s and 60’s, it was also well-known for its racial discrimination and segregation. White supremacy groups acted out their hatred, and blacks were impatient to be respected and accepted as equals. 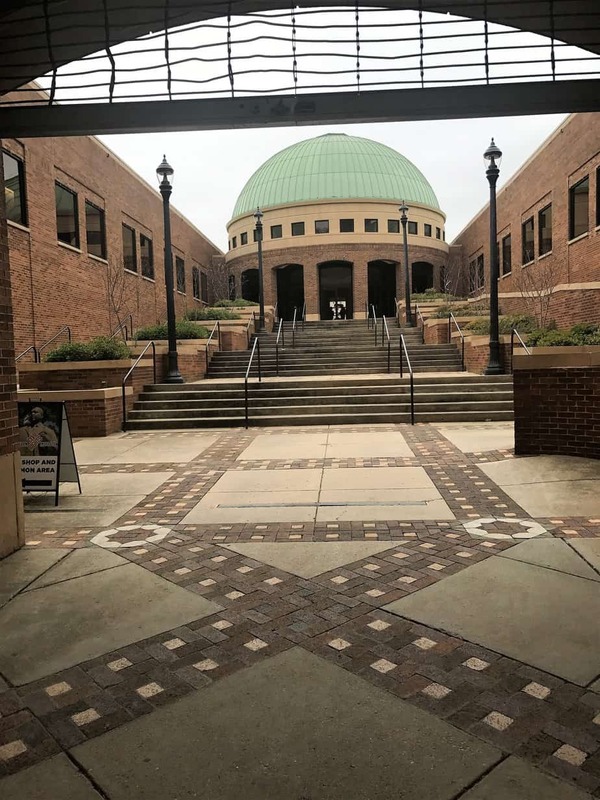 From the late 1940’s until the mid-1960’s, Birmingham received the unofficial name of “Bombingham” because of the 50 unsolved racially-motivated bombings that occurred within the city. Black stereotypes were rampant in advertisements, calendars, posters and cartoons. Aunt Jemima was one of the most successful of those advertising campaign stereotypes, and Ellen Harper of Birmingham was the image behind the label from 1955 to 1957. Famous singer Nat King Cole was attacked during a performance for white people in Birmingham’s Municipal Auditorium. Reverend Fred Shuttlesworth survived the bombings of his home and his church and an armed beating by members of the Ku Klux Klan. He is credited for bringing about more positive changes in Birmingham than anyone. The tug-of-war between those who wanted everything to stay the way it had always been and those who longed for a better life created a highly-charged tension. Boycotts and sit-ins started in early 1963, and the city jails began to fill up. On one side, President John F. Kennedy and later President Lyndon Johnson pushed for justice. On the other side, Birmingham’s Public Safety Commissioner was Eugene (“Bull”) Connor, an ultra-segregationist. 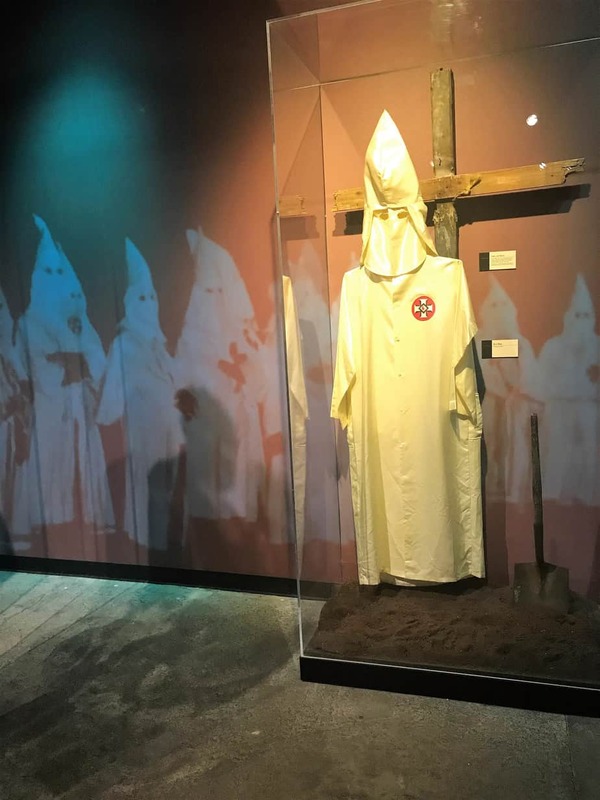 Although not a proven member of the KKK, Connor made sure that police help arrived late on the scene when members of the Klan planned violent attacks against the Freedom Riders who came to the bus station in Birmingham. On May 2, 1963, one thousand children marched in waves throughout the city, starting from 16th Street Baptist Church. Kelly Ingram Park, diagonally across from the church, was also the site of a police and fire station. 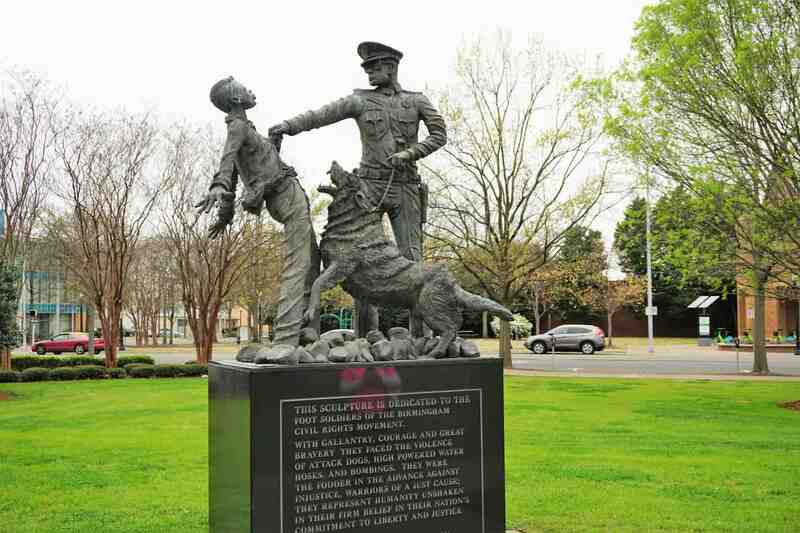 Bull Connor ordered the police to use high-pressure hoses and attack dogs to disperse the marchers. 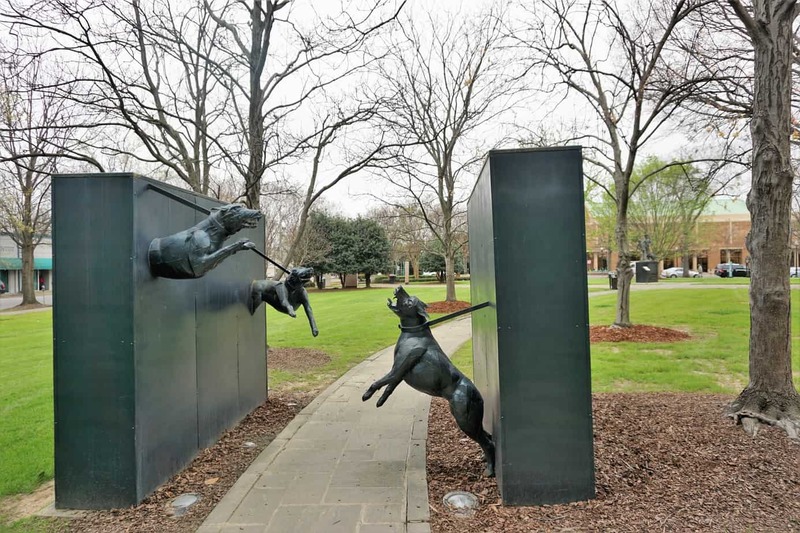 Today Kelly Ingram Park contains many sculptures commemorating heroic figures who fought for racial equality. Visitors can take guided audio tours of the monuments using their cellphones and the markers and plaques along the walking trail. 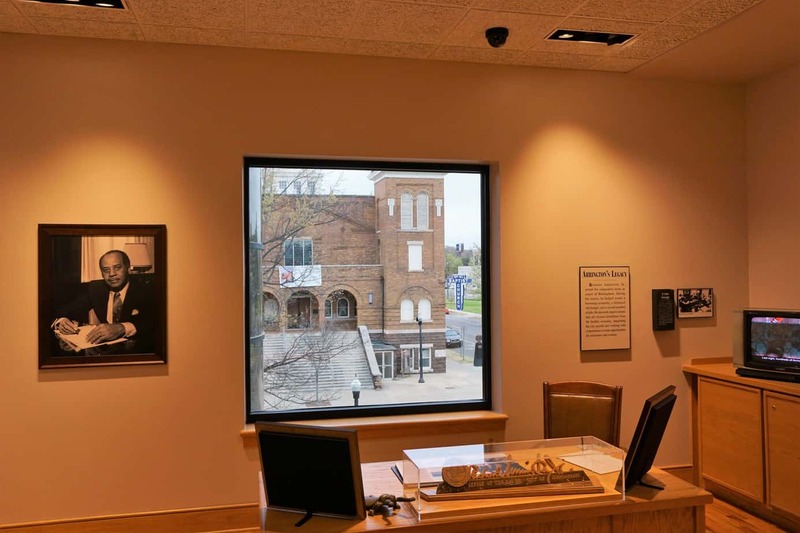 In addition to the church and Kelly Ingram Park, the Birmingham Civil Rights Institute at 520 16th Street North, is a modern facility using multimedia presentations, artifacts, photos and displays to depict the history of the Civil Rights movement in the United States, with an emphasis on the victories and heartbreaks that occurred in Birmingham. 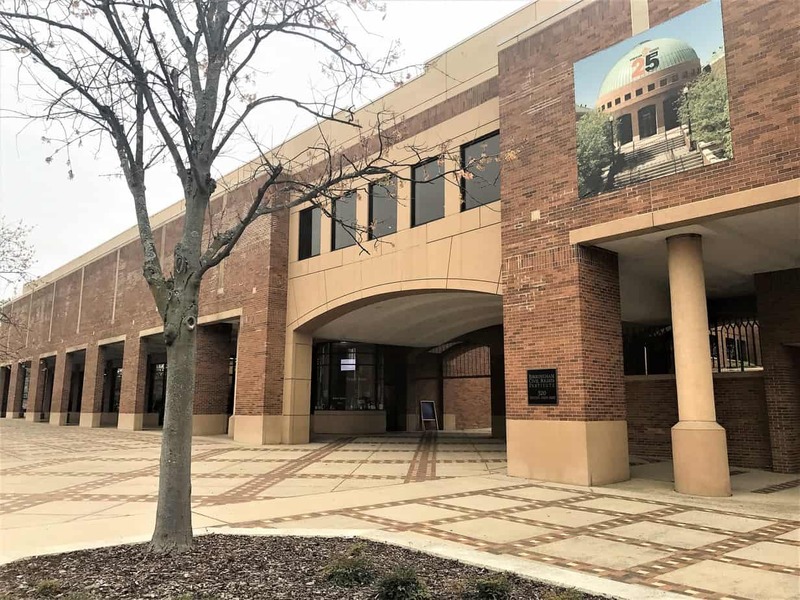 The Institute is open Tuesday through Saturday from 10:00 a.m. to 5:00 p.m. and on Sunday from 1:00 to 5:00 p.m. Admission is $15.00 for adults. Tours of the church are available Tuesday through Friday from 10:00 a.m. to 3:00 p.m. and on Saturdays by appointment only. The price is $5.00 per person. There is no admission charge for the park. These three locations are tightly joined together. Plan time to visit them all. 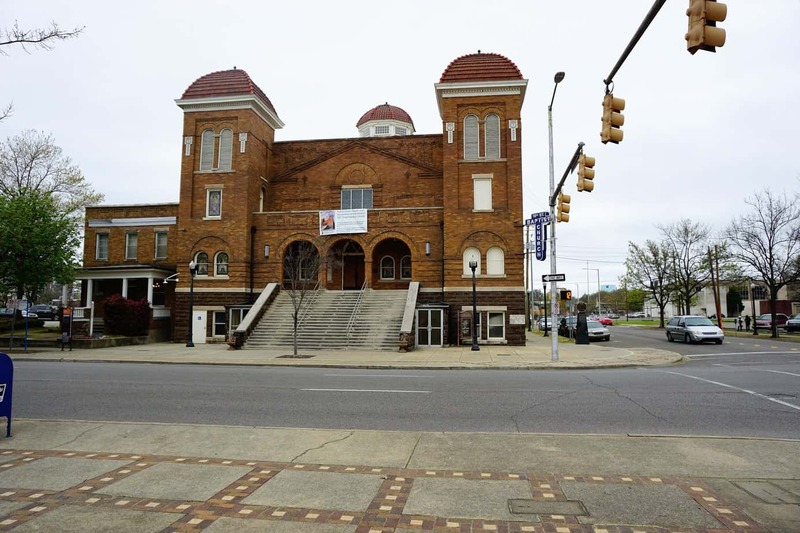 Perhaps the pivotal and most jarring of the incidents of the 1960’s took place on Sunday morning, September 15, 1963, while the congregation was gathered for Sunday School and worship at 16th Street Baptist Church. Ten sticks of dynamite exploded in the basement, killing four young girls and injuring many others. A large portion of the Birmingham Institute is devoted to the scenes and images from that day. Addie Mae Collins, Carole Robertson, Denise McNair and Cynthia Wesley were the young girls who died, dressed in their white ushers’ dresses preparing for the morning service. 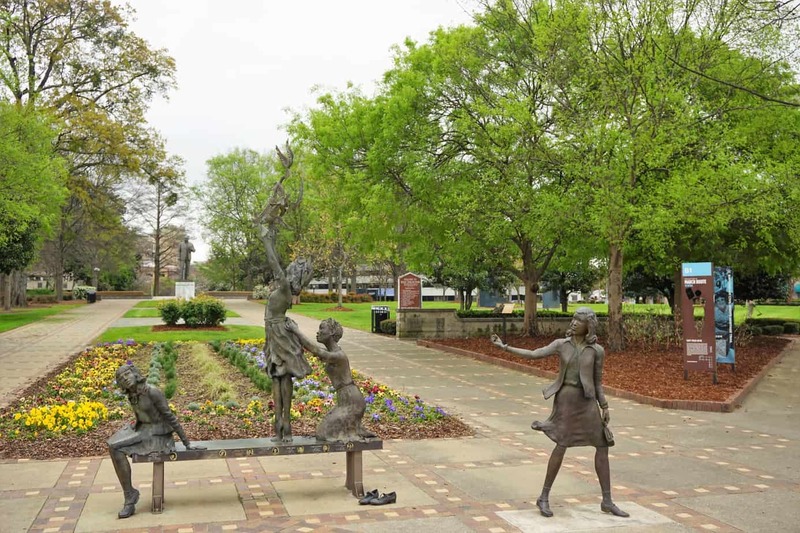 A bronze and steel sculpture created by Elizabeth MacQueen depicts those four girls and stands at the entrance to Kelly Ingram Park. 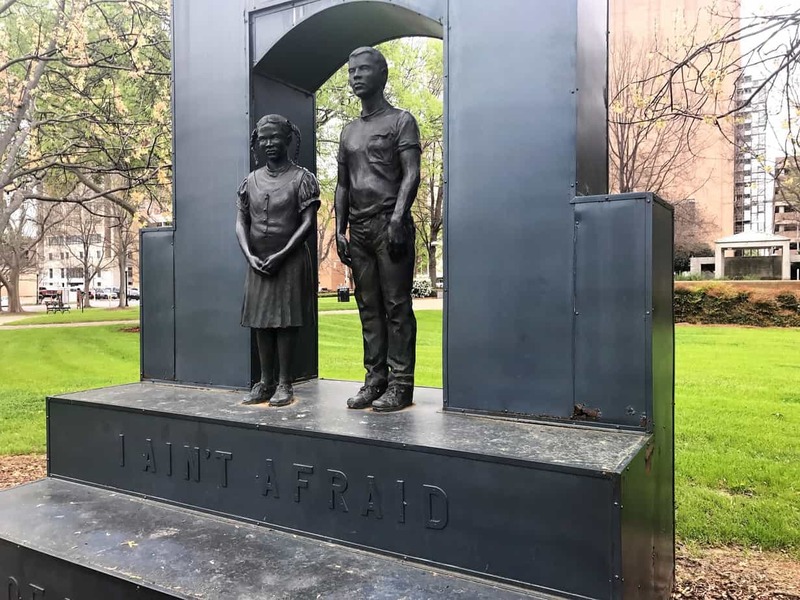 The sculpture, “Four Spirits,” was unveiled one day before the 50th anniversary of the church bombing. Another significant display in the Institute is a replica of Mayor Richard Arrington, Jr.’s office. Mayor Arrington was the first African American to be elected as mayor of Birmingham, and he remained in office for five consecutive terms. His election and success in that position was a huge victory and strong representation of the power of the Civil Rights Movement. There is street parking available in the blocks around the park, the church and the Institute. 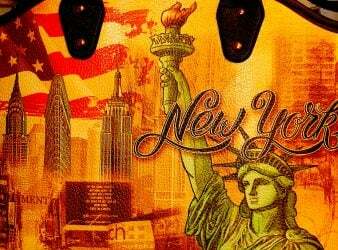 Be sure to take coins for the parking meters. Birmingham has a host of wonderful restaurants, along with all of the expected chain eateries. A few blocks away, I would suggest the Pizitz Food Hall and El Barrio for something delicious and different. For fine dining, head to the Five Points district and try one of Chef Frank Stitt’s highly-acclaimed restaurants or the relatively-new Galley and Garden, owned by Chef James Boyce. For lodging, the Redmont Hotel is an historic landmark and the oldest hotel in Birmingham. 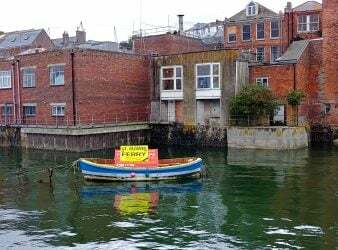 It was acquired several years ago by Hilton and completely renovated. If you are willing to drive twenty minutes or so, the Ross Bridge Renaissance Resort and Spa by Marriott is exceptional. It carries the added benefit of being on the acclaimed Robert Trent Jones Golf Trail. Connie Pearson is a freelance travel blogger and writer. She is a native Alabamian who has traveled extensively around the U.S. and the world and lived in Ecuador for four years, serving as a Baptist missionary. She "thinks, eats, and speaks Southern," but also enjoys sampling regional dishes and exploring new places and cultures. She is a retired elementary music teacher with 12 grandchildren and hopes to live long enough to dance at all of their weddings. Her blog is www.theregoesconnie.com. Thanks for a great, thought-provoking article. Connie’s sentiments above represent many whites who grew up during the Civil Rights Movement. The past is no place to live but it can be a great teacher. The present and the future is the place to be. And Alabama’s future looks grand.